For Williams, it’s all about the food. His vast career has included providing senior marketing communications counsel for a diverse base of clients, including commodity boards, food/beverage, foodservice, as well as the lifestyle/hospitality sectors and professional service organizations. Williams led the launch of the first promotion initiatives on behalf of the Georgia Pecan Commission, a client for nearly 15 years. He also has worked with other commodity boards such as the National Watermelon Promotion Board, the Georgia Peach Commission, the Vidalia Onion Committee and the Georgia Blueberry Commission. Other clients Williams recently represented range from grocery retail (Sweetbay Supermarket) to restaurants (Ocean Prime/Cameron Mitchell Restaurants) to direct marketing (Entertainment Publications). In addition, he has provided counsel to wine associations, including the Napa Valley Vintners. For 15 years John served as vice president, president and then chairman of Sahlman Williams, a Tampa-based public relations firm with a second office in Southern California. While at Sahlman Williams, he built a reputation for high-profile restaurant and luxury clients, such as Tiffany & Co. (Tampa, Naples, Orlando), Maggiano’s Little Italy (Tampa, Nashville), Mimi’s Café (Tampa, Knoxville), BRIO Tuscan Grille (regional), Bern’s Steak House, SideBern’s, Bern’s Fine Wine & Spirits (Tampa), The Palm Restaurant (Tampa), Mitchell’s Fish Market (Tampa) and Café Ponte (Clearwater). Earlier, Williams worked with public relations firms in New York City and Nashville, where he managed programs for clients such as the Peanut Advisory Board, the Beef Industry Council, Frito-Lay, Twinings Teas of London and the New York State Department of Agriculture and Markets. While affiliated with the New York City office of Ketchum Public Relations, his account team received the prestigious Silver Anvil Award from the Public Relations Society of America for the Peanut Advisory Board’s first Adults’ Only Peanut Butter Lovers Fan Club Reunion. The event also received the “Best Event Marketing” award from Adweek magazine. In Nashville, Williams represented a variety of hospitality and economic organizations and news media outlets. In addition he worked with Kroger, BI-LO and numerous restaurants including Morton’s The Steakhouse. 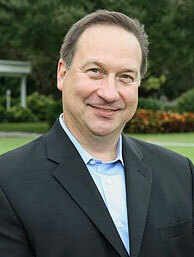 Williams is an active member and former president of the International Foodservice Editorial Council. He is also active with the Southeast Produce Council, the International Association of Culinary Professionals, the James Beard Foundation and the Southern Foodways Alliance. He is also a member of the Southern Food and Beverage Museum. John M. Williams oversees all client programs for JMW Communications. A seasoned communication professional, he will always give priority attention to your programs and business.